From 1837 to 1901, Queen Victoria reigned. It was a period of phenomenal prosperity, exploration and industrial development in the UK. By the end of Victoria’s reign, the British Empire extended over one-fifth of the earth’s surface – legend has it that the Queen loved to see how many areas of the globe were coloured pink (denoting British ownership). This meant that the UK experienced new cultures, new food, new materials, new plants and new designs in a way it never had before, or since. The Victorians embraced these styles in their homes weaving in the traditional with the new, paving the way for an entirely different type of interior design. Floor tiles, particularly encaustic ones, were highly prized by the Victorians especially after visiting areas of Moorish architecture. They were often used for ecclesiastical buildings as well as in the home setting. Many Victorian properties can be characterised by a sweeping, patterned tiled floor in the entrance hall. 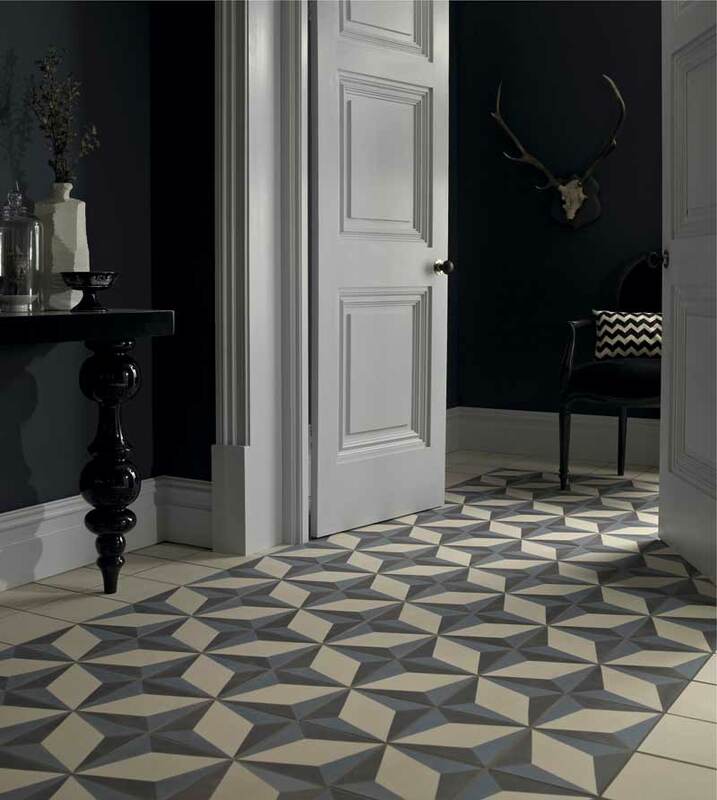 Recreate the look with these fantastic encaustic tiles from Fired Earth. To enjoy the six courses in their full glory, the Victorians were very specific about using different cutlery for each course. 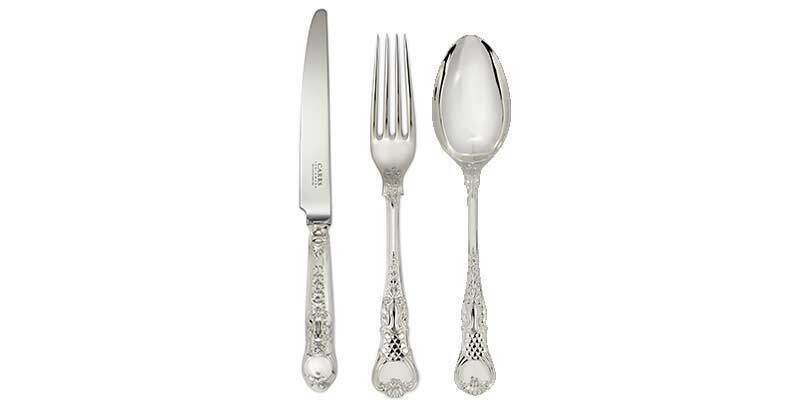 It stands to reason then, that the cutlery itself was beautiful, ornate and, depending on the class of the household, cast in silver. This Coburg set from Carrs is a great example of the era. Wall coverings became an important element of interior design for the Victorians, especially with the introduction of dado and picture rails. 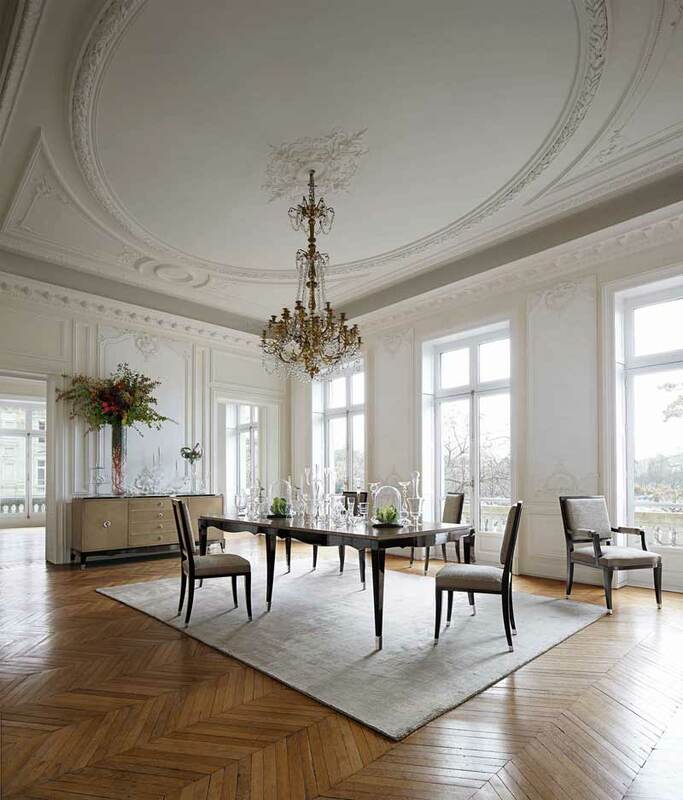 Complementary wall paper designs would be used for each of the three segments of the wall (cornice to picture rail, picture rail to dado rail, dado rail to skirting board). Embossed papers featuring Japanese-inspired motifs were popular for below the dado rail while symmetrical florals (such as William Morris designs) were used for above. 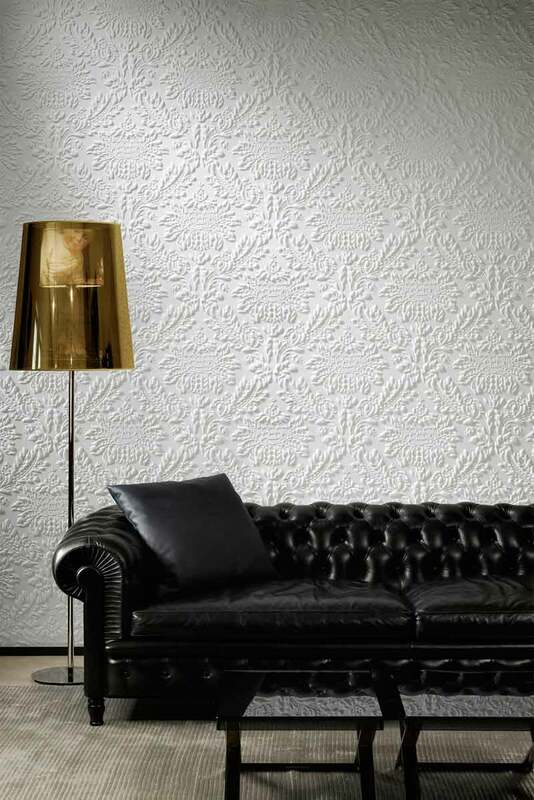 Dado rail or not, this embossed style from Eclipse at Arte is a good contemporary take on the Victorian style. As trade and industry increased, so did the variety of textiles and weaving techniques. 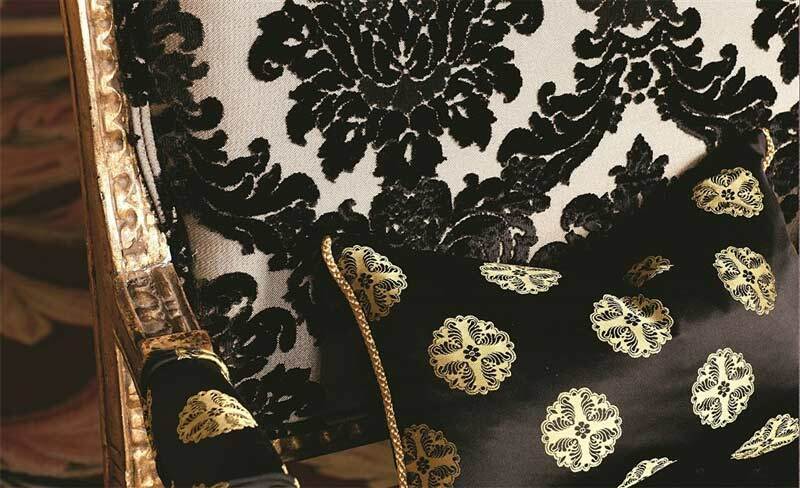 The Victorians took to embossed velvet upholstery with vigour. The designs often featured leaves mimicking Regency feather plumes. This design is given a modern twist in monochrome by Augusta Fabrics at the Designers Guild. If you’re feeling inspired by Victorian style but aren’t sure where to begin, get in touch with the team today.